This is a blog about things that I make on the Big Green Egg BBQ. 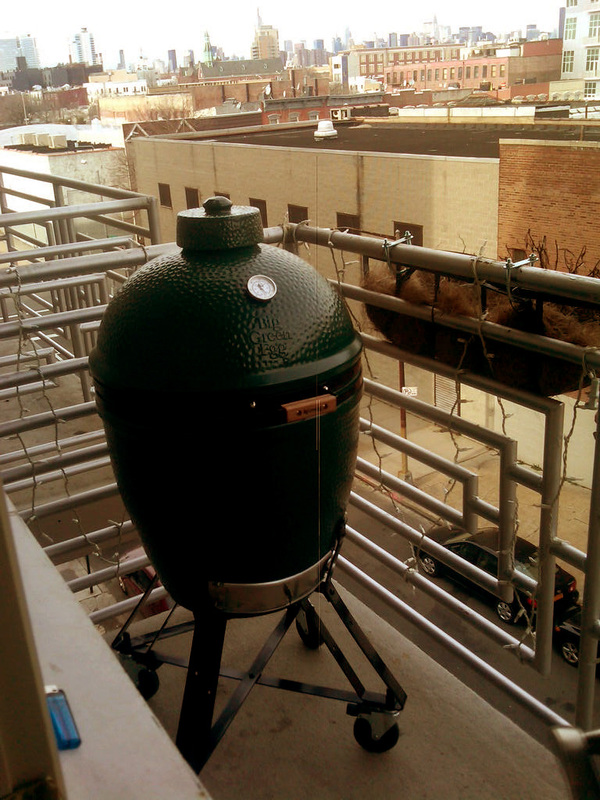 I picked my large BGE up at Alm Plumbing & Heating Co. on 18th Avenue in Brooklyn. The thing is ridiculously heavy, so I enlisted a buddy to help with the relocation. Putting it together was another matter. For this, I called up a friend who knows how to assemble camera gear, figuring there might be an overlap in skill sets. 6 beers, 2 arguments and 2 hours later it was all set to go on my patio. My building isn't so into charcoal bbqs on the patio. However, I'm banking on the foreign shape of the egg causing more confusion than concern.